She will be wearing a pink and purple wedding gown, and carrying purple roses. She will be 69 years old. 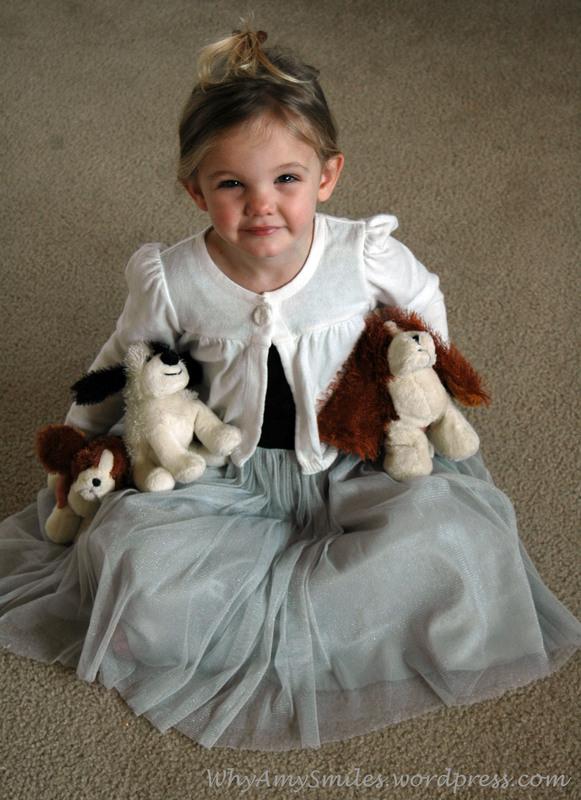 Her flower girls will be her big sister (who at that time would be over 75 years old!) and Jensen, who is just a few months younger than Remi. At her reception, olives, fish sticks, and grape cake will be served. As she and her groom leave, wedding guests will throw flowers at the departing couple. Have you checked out Cheerful Learning? Mom–I am so not ready to think about her real wedding! And yes, she got the purple from Kati’s, I’m sure. Rebecca–I’m sure she’ll look to Grandma for that shiny, purple glip gloss when she needs it. Love this! 🙂 She’s s cutie! Oh, I needed that laugh today! Thanks for sharing. Tell your sweet Remi that even though I will be about 120 years old I will be happy to help with the reception duties…oh, maybe strawberries like her mom’s reception?! 😉 Love her! Cindy, I think strawberries would go great with grape cake…even if they are served by a 120-year-old lady! What a sweetie! I will pray to live to 107 so I can be there to see it (and eat grape cake). April, we can enjoy the reception from our wheelchairs, even if we have to liquify our grape cake and drink it! Oh, funny! I agree that you need to print this out and save it for her! Hi, Sundae…Remi is the sixth member of our family, so by the time I was expecting her we already had five opinions weighing in on every name we considered! There was always someone who didn’t like any name we talked about, until “Remington.” We were at a talent show and a 10-year-old girl got up to sing. They introduced her as Remington [someone] and my husband and I looked at each other, eyes wide…We both loved it and so did the other kids. So, Remington it was. Our other daughter, Addison, goes by Addy, so it was natural to shorten Remington to Remi. And yes, she is very girly (sometimes)!